As always, it is such a pleasure to support handmade. What better time of year with holiday cheer to find the perfect holiday gift? 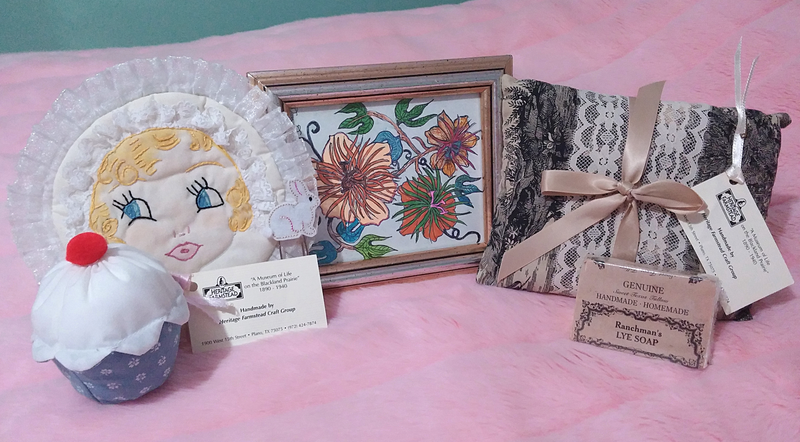 To share a glimpse, here are a few goodies from last month's local Senior Holiday Bazaar. Of course, front and center, I purchased another work of art from my favorite local artist. Look at the vibrant color! Also, although not shown, my mom purchased an engraved wood painting and lovely matching key rack. Perusal, the Heritage Farmstead Craft Group proceeds go to the Heritage Farmstead Museum to preserve and interpret life on the Blackland Prarie dating from 1890 to 1940. They emphasis the late 1800 to early 1900 farm lifestyle by depicting all handmade items to reflect the farming era such as houseware and kitchenware goods. For instance, the two full length aprons shown below were traditional domestic wear. I absolutely adore the ruffle detail and floral print. 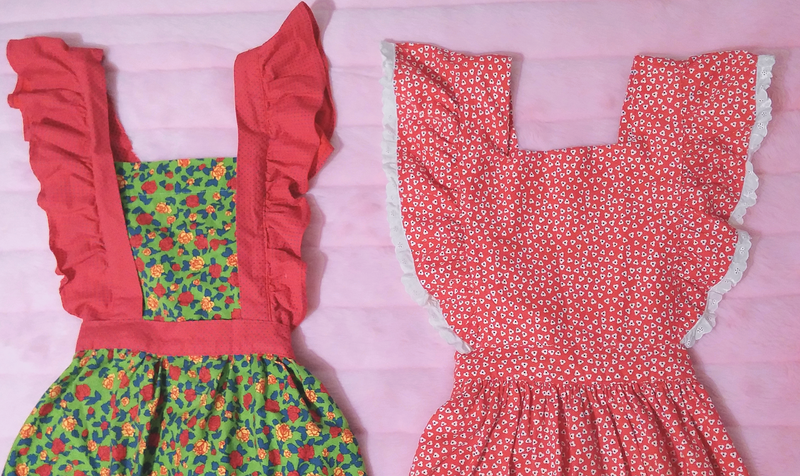 Originally, I intended to buy just one but settled with both of these Little House on the Prairie-esque aprons. 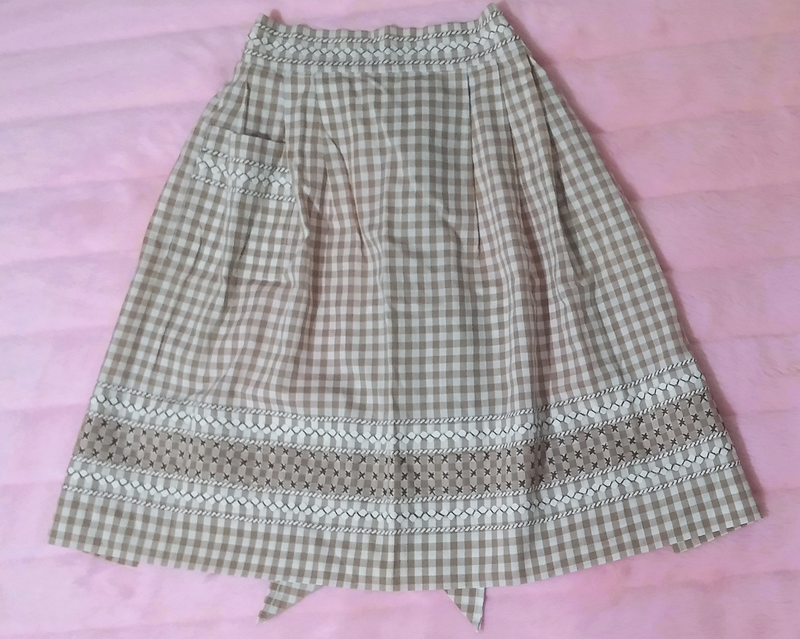 Lastly, the gingham waist apron was well-made from another sweet Senior resident. Please take care and remember to support local as well as handmade! !